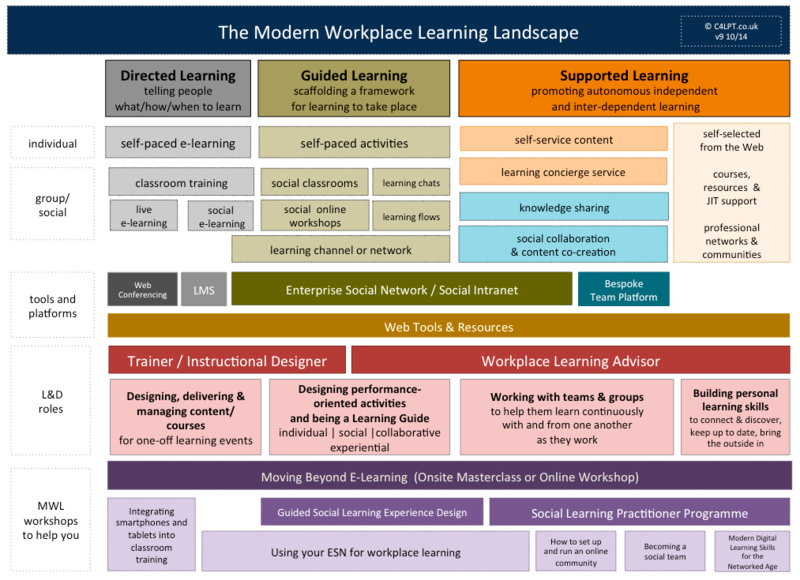 Short overview article with a useful diagram touching on all aspects of workplace learning. The key message: "A L&D department that only focuses on Directed Learning is simply a Training Dept. The L&D Dept of the future will need to support learning in all its forms. But to do this it will need to shake off its command-and-control training mindset, and it will need to develop new roles, activities and new skills." I'm sure the diagram (or versions of it) will populate dozens of slide shows in the future. Last Updated: Aug 22, 2018 03:35 a.m.